“All of [the Jews] deserved to die because they were the Devil's agents and human garbage. 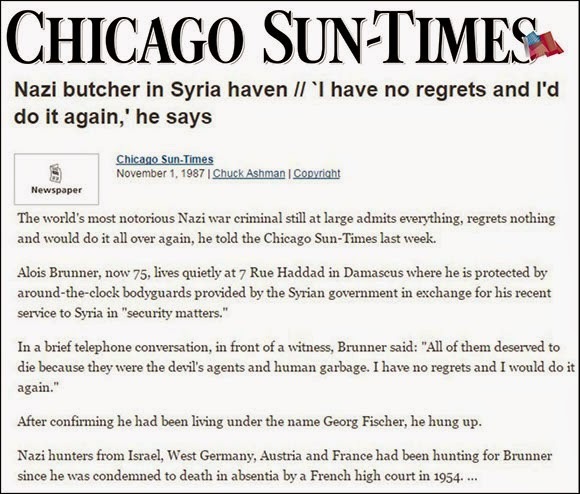 I have no regrets and would do it again” (“Nazi Butcher in Syria Haven”, Nov. 1, 1987). This incredible quote has been reused time and time again, and has once again made its appearance with the latest reports of Brunner’s death. Most media outlets—following the Holocaust Storyteller line—just repeat the quote without questioning its origin—even though Brunner denied ever saying such a thing. However, this is not the worst of it: Ashman was also a convicted fraudster who had spent time in a lunatic asylum. 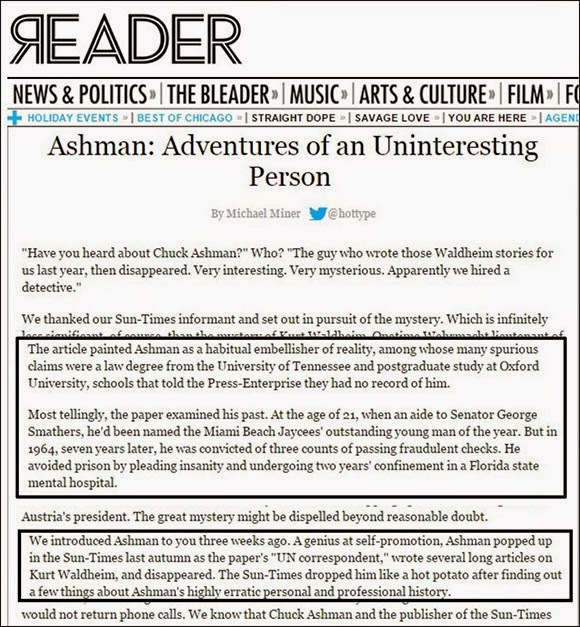 According to the Chicago Reader, Ashman was a “habitual embellisher of reality, among whose many spurious claims were a law degree from the University of Tennessee and postgraduate study at Oxford University, schools that told the Press-Enterprise they had no record of him. After writing a whole series of outrageous stories about then Austrian president Kurt Waldheim—which were attacked by Clemens Coreth, the Austrian consul general in Chicago, in a letter to the Chicago Sun-Times in which he accused Ashman of "misrepresentation" and "malicious" insinuations—“The Sun-Times dropped him like a hot potato after finding out a few things about Ashman's highly erratic personal and professional history,” the Chicago Reader revealed. This “quote” therefore comes from a “journalist” who was not only a convicted fraudster, and a certified lunatic, but who was also fired by the Chicago Sun-Times for making up news stories. In fact the only correctly related interview with Brunner—who left his native Austria after the war and eventually settled in Syria—took place in July 1987. 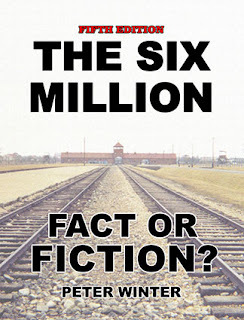 It was conducted by Austrian journalist Gerd Honsik, and published in his book Freispruch für Hitler (Burgenländischer Kulturverband, Wien, 1988). Honsik’s book was a series of interviews with some thirty-six witnesses, including six former concentration camp inmates and several historians on the topic of the war and the alleged mass-extermination story. Honsik actually travelled to Damascus where he interviewed Brunner in person. Brunner as a young man, left, and in 1987, right. Picture from Honsik's book. 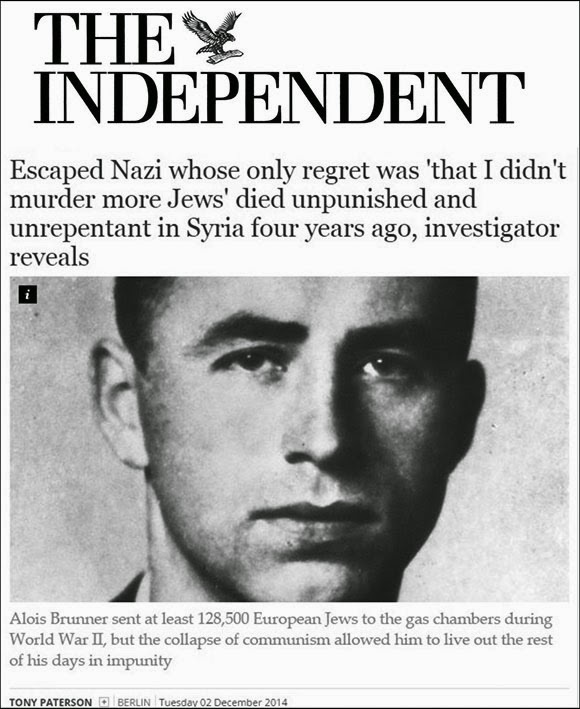 In the interview, Brunner denied ever saying the infamous quote attributed to him, stating specifically that he had only said that he would “do it again” in reference to his attempts to resettle Jews outside Europe. 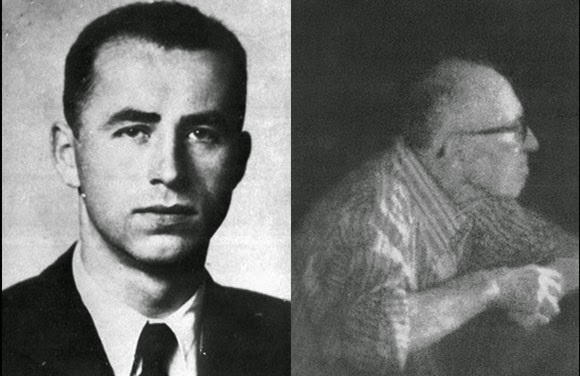 When Honsik specifically asked Brunner about gas chambers, the former senior SS man replied that he had “first heard about them in newspapers after the war” and had never heard of such a thing during his period of service. Instead, he continued, he had been actively involved in the project to create a Jewish homeland in Madagascar. It is an indication of the mass hysteria and media propaganda around the Holocaust that the word of a certified lunatic fraudster is taken to be true without question—even though Brunner denied ever making it. * The Austrian journalist Honsik suffered the fate of many honest people in Europe. His book was outlawed, and he was sentenced to five years imprisonment for his “crime.” His book is available on the Archive.org site, free, at this link.